Listen to a lot of successful business people talk, and you’ll often be let down. Many of them just aren’t very articulate. Or they choose their words carefully lest they ignite a PR bomb. Berkshire Hathaway Inc. (NYSE:BRK.B) vice-chairman Charlie Munger isn’t one of them. He’s old, he’s rich, and he doesn’t give a damn what you think about him. He will always provide the unfiltered truth. In preparation for the upcoming Berkshire Hathaway shareholder meeting eight days from now, here are eight of the smartest things Munger has ever said, culled from various speeches he’s given over the last five years. When Hitler was in his bunker before he shot himself, he said, ‘This isn’t my fault. The German people just don’t appreciate me enough.’ That’s the attitude of a lot of bankers. They think their silliness is necessary. Banks will not rein themselves in voluntarily. You need adult supervision. When we bought See’s Candy, we didn’t know the power of a good brand. Over time, we just discovered that we could raise prices 10% a year and no one cared. 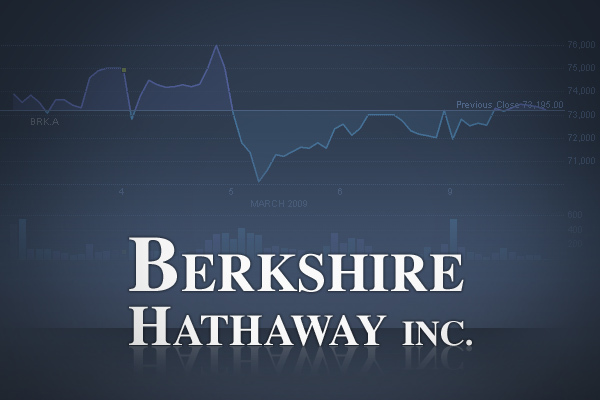 Learning that changed Berkshire Hathaway Inc. (NYSE:BRK.B). It was really important. You have to be a lifelong learner to appreciate this stuff. We think of it as a moral duty. Increasing rationality and improving as much as you can no matter your age or experience is a moral duty. Too many people graduate from Wharton today and think they know how to do everything. It’s a considerable mistake. Most of Berkshire’s success grew from stupidity and failure that we learned from. I hope that makes you feel better about your own life. I remember the $0.05 hamburger and a $0.40-per-hour minimum wage, so I’ve seen a tremendous amount of inflation in my lifetime. Did it ruin the investment climate? I think not. Patience combined with opportunity is a great thing to have. My grandfather taught me that opportunity is infrequent and one has to be ready when it strikes. That’s what Berkshire Hathaway Inc. (NYSE:BRK.B) is. It’s amazing how fast Berkshire acts when we find opportunity. You can’t be timid — and that applies to all of life. You can’t be timid in marriage when you find the right spouse. It might be your only opportunity to be happy in life. Too many people don’t act when they should. That’s why half of all marriages don’t work out. Economists have long been divided by a simple problem. When you go to the movie theater, soda and popcorn costs a totally unfair price compared with other locations. This just tortures economists. At least one million man hours have gone into trying to solve this problem. Economists understand that a first-class ticket on an airplane costs more than coach. They get that one. It’s marginal utility. But they can’t figure out the movie theater to save their lives. Here’s the Munger approach to the problem. In the auto world, a car manufacturer will sell a car for $40,000, and charge $200 for the extra gizmo. No one cares about the extra $200 when you’re already spending $40,000. It’s insignificant. The movie theater is basically the same thing. People are OK paying that much for a soda after they’ve paid so much for an admission ticket. Now, psychologists can explain this clearly. Economists can’t for the life of them. It’s so simple what happens with you think beyond your trained field. It’s amusing to see someone spend one million man hours on something I can solve with my left hand.